With all the commotion of new consoles and launch titles, it's possible you have have missed a new co-op game on Xbox 360, PS3, XBLA, PSN, and PC. Young Justice: Legacy hit digital shelves in November (thanks to dfjdejulio for noticing our mistake), and aims to bring the world of the Young Justice television show into the world of video games. Written in collaboration with the series' producers, Young Justice: Legacy holds true to its roots. Players will play as one of many characters, such as Nightwing, Aqualad, Kid Flash, and more. 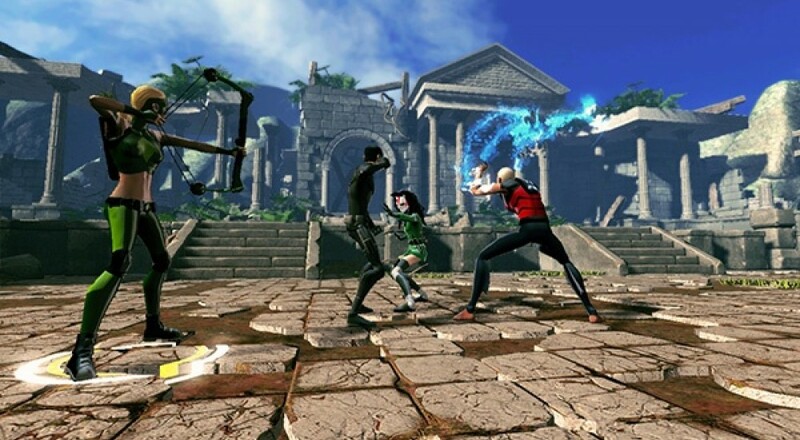 Using unique weapons and skills, players can join up with two of their friends to battle famous villains from the DC universe. Yeah, the game is definitely young audience friendly, but aside from picking this up for the little ones in your life, it might be fun to be a kid again yourself. Young Justice: Legacy is available on Xbox 360, PS3, XBLA, PSN, and PC for $39.99, with a 3DS version also available at $29.99.